We are delighted to welcome Laura onto our Family Engagement Team. Just to put her on the spot, we thought we’d let her introduce herself! 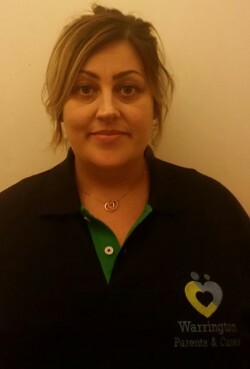 “I’m Laura, I’m mum to three children Luke, Hannah and Pippa. My youngest daughter Pippa had a difficult start with extensive health problems and underwent heart surgery at 5 weeks old. Pippa went on to begin mainstream school but it quickly became apparent that her difficulties were more complex and also effected her learning and cognitive ability. 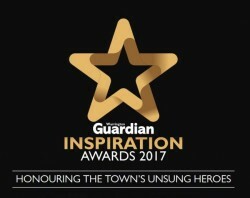 Our warmest congratulations go out to our Chair, Jean Fitzpatrick, who has been shortlisted for the Warrington Guardian’s Inspiration Awards 2017. Unfortunately, Jean will be unable to attend the award ceremony, so the rest of the team have the honour of attending on her behalf. Well done, Jean – you are our inspiration!! 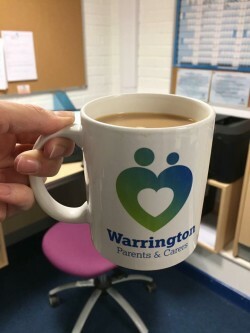 The time has come around once again to chat to the families looking to start school next September – this can be a very daunting time for our families, and it’s a great opportunity for us to share our experiences and let them know that they are not alone in the journey. 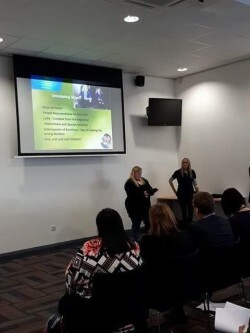 Sarah and Sharon did a brilliant job, as always, sharing their stories with the conference and we had some great feedback from those who were there. 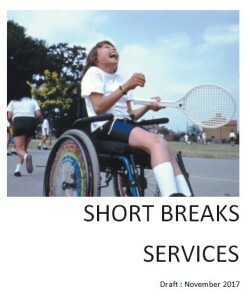 On Monday, we met up with Clare Pickering, who is bringing together the updated Short Breaks Statement for Warrington. We worked together with her to ensure that all your views collected last year in our “Ask Away” events and survey are included in the new version of the statement, which will be available for wider circulation soon. 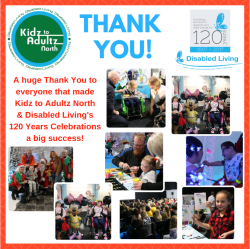 On Thursday a few of the team went over to Manchester to the “Kidz to Adultz North” exhibition, bringing lots of useful information back to our office. This is a great way to find out about what’s available for our families out there, so feel free to pick our brains if your child / young person is looking for anything in particular. We also met up with Iain McDonald from the Special Educational Needs Information Advice and Support Service. 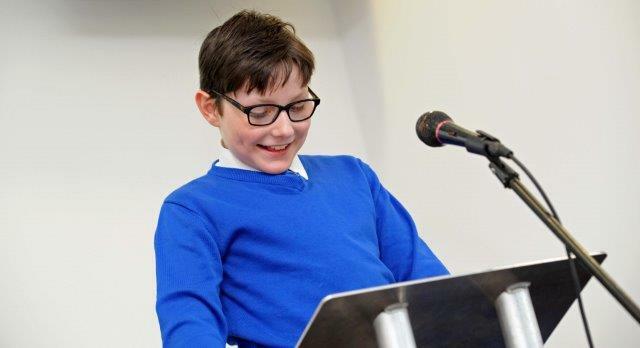 Our families are keeping Iain very busy in this vital role and he is a life line to many parents and carers out there who need support in getting the right educational placement for their child. 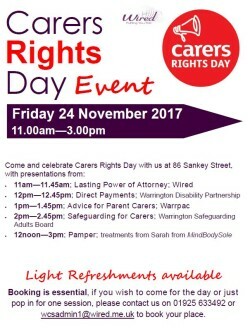 We were devastated to find that funding for the service has not been confirmed for March next year, and have sent in a Statement of Support from WarrPAC. We met up with Terry Jones, Head of Integrated Services to complete the survey return to the Department for Education – both the Local and Authority and ourselves feed back to the DfE our views on the implementation of the SEND reforms. We also discussed last years conference and getting feedback out to our families of progress that has been made since. The new strategy will be circulated in early December, but we also want to let our families know what has been happening since our conference, before we get into planning the next one! 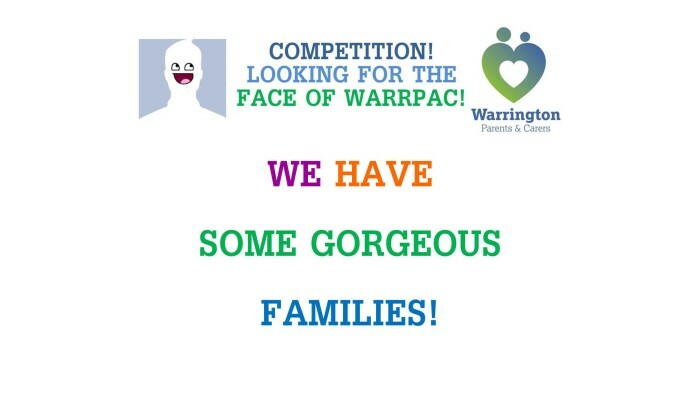 We have had some fabulous entries for our face of WarrPAC competition, so we have created a video so that we could share them with you all. 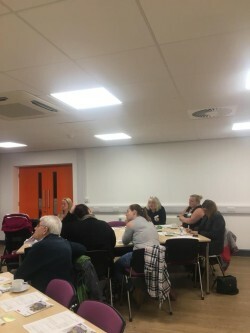 Our last coffee morning was a general chatting session to share our issues – good and bad. 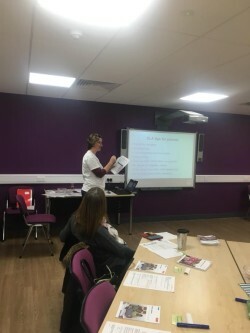 Tomorrow, Sarah will be attending the Early Years SENCO meeting. Have you got your Christmas jumper ready for Saturday yet? We have and the odd hat too. Our Christmas Fair is set to be a cracker and you’ll find us at Woolston Learning Village in Green Lane and Foxwood Schools. All are welcome to join us and you’ll be able to browse for so many gifts including Bodyshop, Forever Living, felt Christmas deccies and stocking fillers by Sarah’s Heartfelt Gifts, personalised frames from ScrabbleBe, JJ Hampers, Magnetix Jewellery, Flamingo Paperie, wooden engraved gifts by Sungy, Alterations who have the most divine wreaths and christmas sacks, Vintage Glow candles, Usborne books and an incredible range of children’s clothing from Cheeky Little Monkeyz. 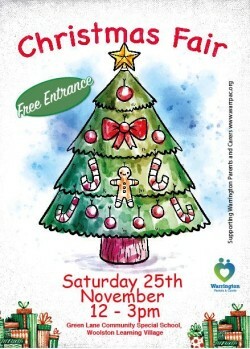 If that’s not enough, you’ll be able to visit Father Christmas, have your face painted and join in with activities provided by Creating Adventures, Warrington Wolves Foundation, Warrington Youth Club and sing your hearts out with Cheshire Chord. The fun starts at 12…see you there!